Economical Fellowes Power Strip with 6 outlets. 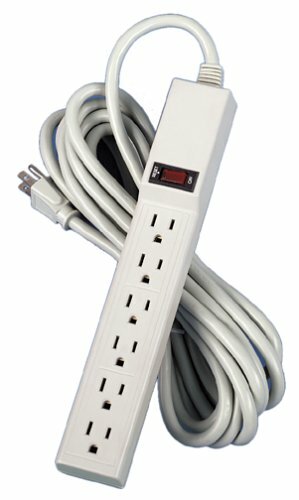 Office grade power strip has 3-prong grounded plug and outlets. Illuminated on/off switch with 15-amp circuit breaker. 15 foot power cord. Wall mountable. UL and cUL approved.